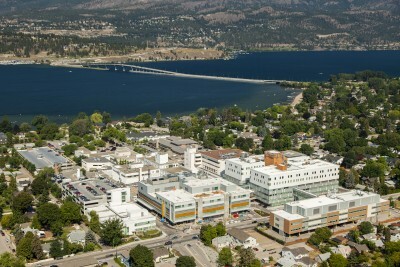 Kelowna General Hospital was founded on philanthropy. It opened in 1908, on land donated by the Kelowna Land & Orchards (KLO) Company, with just 19 beds and has grown exponentially to meet the needs of an ever-expanding community. 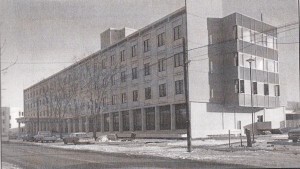 With the state-of-the-art Interior Heart & Surgical Centre, psychiatry units for youth and adults, updated medical inpatient unit in the Centennial Building, enhanced laboratory and clinical departments in the new Dr. Walter Anderson Building, a modern maternity ward, and an academic campus that serves as a satellite for the University of British Columbia Medical School, KGH has become one of BC’s leading healthcare centres. The Interior Health Authority provides the highest level of medical care ever seen in the Interior in an integrated critical care facility supported by a full range of clinical supports closer to home and loved ones. Working together, we’ve turned a small, regional hospital into a centre for healthcare excellence that provides critical services not only to our community, but to the 750,000 newborns, children, youth, adults and seniors throughout the Interior of BC. Over the past forty years, our community of donors has invested over $80 million in our healthcare. Donors have entrusted the KGH Foundation with over $27 million in current assets and have grown our Endowment Fund to $12 million. Our reputation in the community is our bond. It is what sets us apart. None of this would be possible without your tremendous generosity. Giving changes everything.